An iconic Canadian dream vacation. A true northern experience. Fly-in fishing begins at the air base with you and your gear loaded into the plane to take off for the ultimate angling journey. 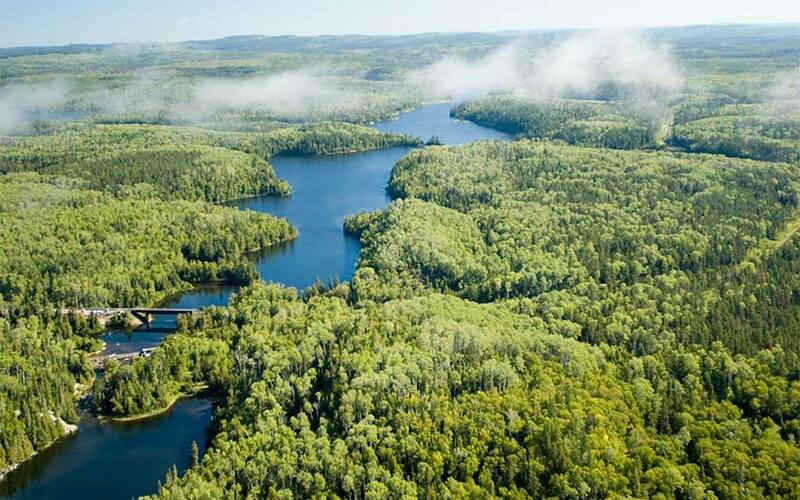 Be prepared to see spectacular sights below as you fly over the dense green forests, inland lakes, the rugged Canadian Shield, winding rivers and Great Lake tributaries of Algoma. Don’t let your senses overwhelm you, you must be fit and ready to fight the lake monster fish you are bound to find in these remote waters that only a select handful of guests return to each summer. Whether you choose a full service lodge or remote outpost, Algoma’s remote operators offer packages with full service American Plans (accommodations + daily meals + boat & motor) or Housekeeping Plans (accommodations + boat & motor). Fly-in packages include everything you’ll need to enjoy the week, you simply pack your gear and lucky rod of choice! Packages are priced per person and some lodges will offer combination plans for guests looking to stick to their own eating schedule, but still enjoy some meals with other guests in the main lodge. Walleye, northern pike, muskie, small and largemouth bass and species of trout are just some of the fish species that can be caught in these remote locations. If you are looking for the chance to land that big catch, a fly-in fishing trip should be at the top of your list. Fantastic fishing and solitude is certainly a few of the appeals of a fly-in fishing adventure. 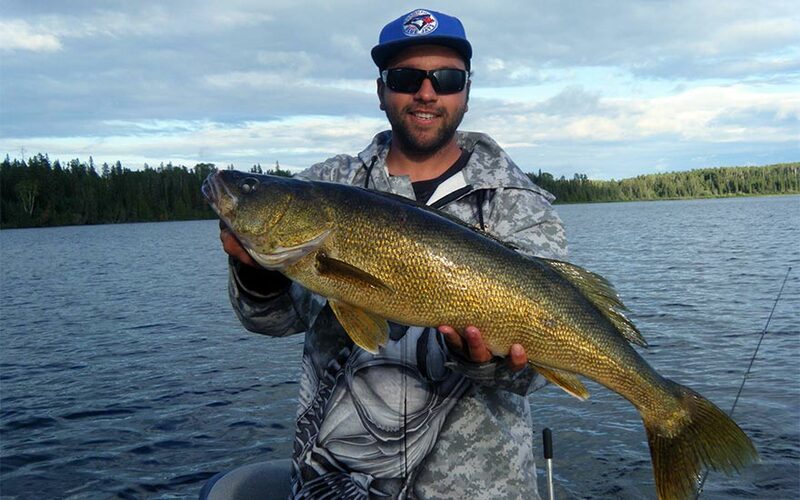 Many lodges have adopted conservation and catch and release programs to ensure a solid quantity of trophy fish are stocked in their waters, which will continue to produce big trophy fish for years to come. Lodge Eighty Eight is that extraordinary place where being in the heart of the Canadian Shield means eco-friendly luxurious modern comfort, unexpected amenities, attentive professional service and the very best marine equipment afloat. 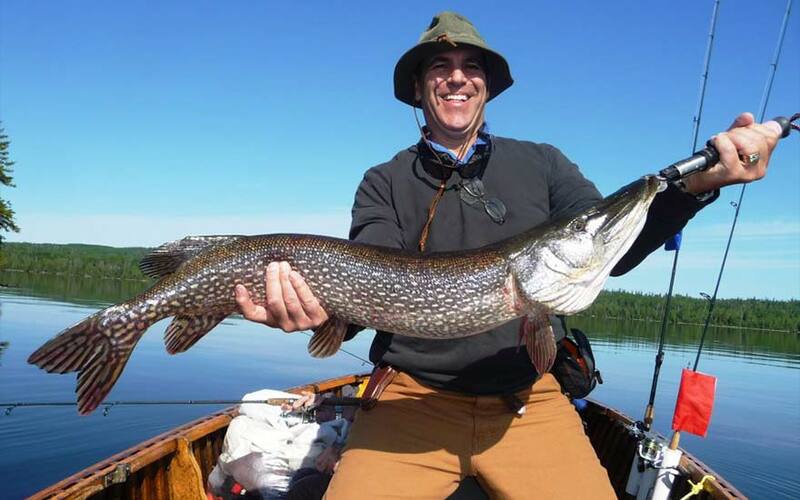 Of course being on remote 27-mile Esnagi Lake means fantastic fishing for walleye, northern pike, perch, and whitefish with the bonus of trophy speckled (brook) or lake trout fishing just a short portage or seaplane flight away. 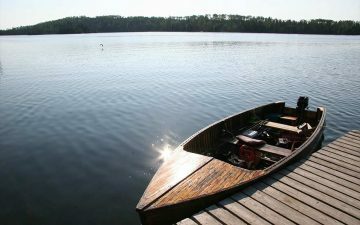 Experts agree Esnagi is the one of the best lakes in the province but also rank it as one of the very best in Canada. Amazing accommodations, fully outfitted cedar strip boats, dock hands, and world class service included with every package. American plan and housekeeping plan packages are both available. Fly-In packages start from the air base in White River, Ontario. Train in options with VIA Rail from Toronto, Sudbury and White River, Ontario are also available for those who wish to stay grounded. 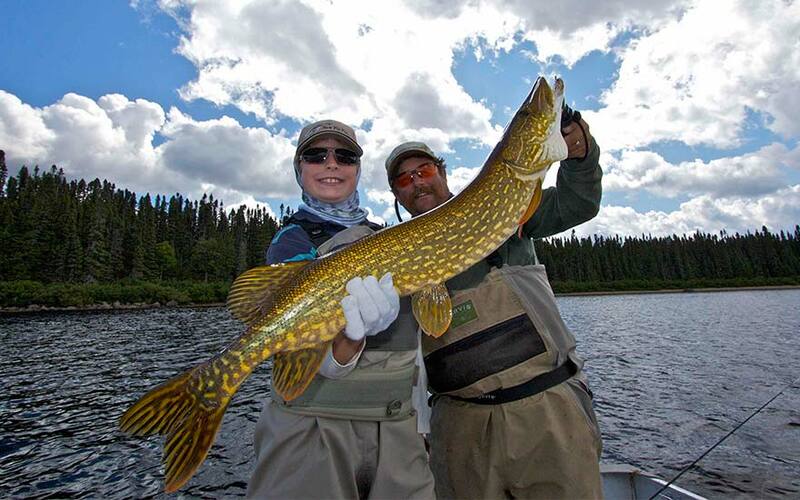 Situated on the remote shores of beautiful 27-mile Esnagi Lake, Mar Mac Lodge provides the highest quality fly-in or train-in fishing and hunting vacations. A 45-year history and three generations of experience ensure you will not be disappointed! All guests fish from the safety of 18-foot cedar strip boats powered by 20 HP 4-stroke outboard motors. Boat seats have been installed for your added comfort. Fish for walleye, northern pike, perch, whitefish, and brook or lake trout. The modern and spacious cabins allow you to experience the Ontario wilderness while enjoying all the comforts of home: indoor plumbing, electricity and fully equipped kitchens. The main lodge offers both American plan and housekeeping plan. For those seeking seclusion, stay at our Northend Outpost located at the northern tip of Esnagi Lake available for housekeeping plan packages. 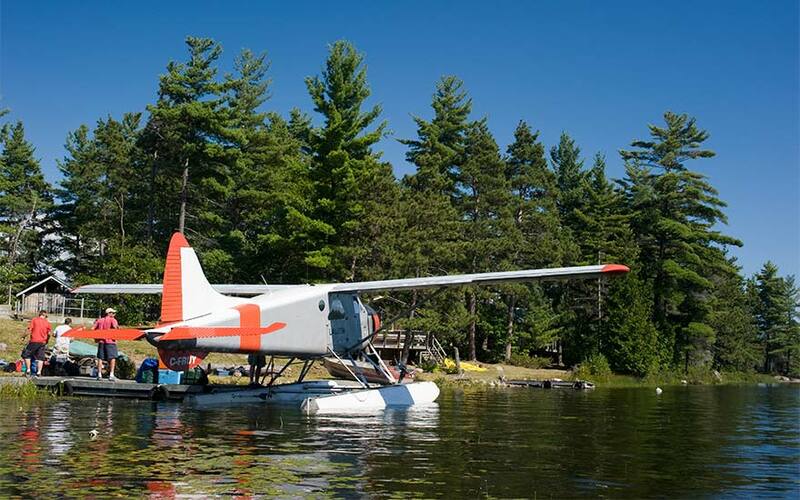 Fly-in packages start from the air base in White River, Ontario. Train in options with VIA Rail from Toronto, Sudbury and White River, Ontario are also available. Pine Portage Lodge is located on 25-mile long Kabinakagami Lake 72 air miles (half hour flight) from the float plane airbase on Wawa Lake. The Watson Family has been hosting fishing/hunting vacations since 1946 and offers excellent accommodations, dining and guest services offering all-inclusive packages on American Plan or Housekeeping Plan. Conference & meeting facilities, Fall Sportsmen Packages for moose/bear/duck/partridge are also available. Guests have the convenience of arriving and departing any day of the week. Packages start mid-May running until late September. 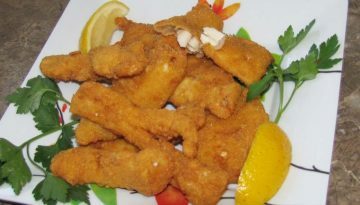 Fish for northern pike, walleye, white fish, perch. All cottages are constructed of up-right log.The cottages are comfortably furnished with queen and single beds. The Main Lodge is the first place you will visit when you arrive at Pine Portage Lodge. They make sure you have everything you need to get you out on the lake fishing. The dining room and kitchen is also located in this building and is where all of the home cooking is done. Visit one of our fly-in fishing operators when you are looking at planning your dream fishing vacation. Many of these remote operators also have hunting opportunities for moose, bear and small game. Algoma Country’s air services fly into remote lodges located in: Wawa, White River, Hornepayne, Armstrong, Hawk Junction, Chapleau, Foleyet, Algoma Mills, Blind River and Nakina.